Jean-Charles Pichegru was a distinguished French general of the Revolutionary Wars. Under his command, French troops overran Belgium and the Netherlands before fighting on the Rhine front. His royalist positions led to his loss of power and imprisonment in Cayenne, French Guiana during the Coup of 18 Fructidor in 1797. After escaping into exile in London and joining the staff of Alexander Korsakov, he returned to France and planned the Pichegru Conspiracy to remove Napoleon from power, which led to his arrest and death. Despite his defection, his surname is one of the names inscribed under the Arc de Triomphe, on Column 3. Jean-Baptiste Jourdan, 1st Comte Jourdan, enlisted as a private in the French royal army and rose to command armies during the French Revolutionary Wars. Emperor Napoleon I of France named him a Marshal of France in 1804 and he also fought in the Napoleonic Wars. 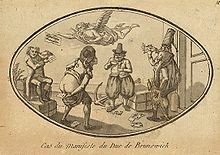 After 1815, he became reconciled to the Bourbon Restoration. 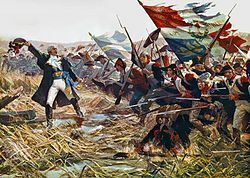 He was one of the most successful commanders of the French Revolutionary Army. Dagobert Sigismund, Count von Wurmser was an Austrian field marshal during the French Revolutionary Wars. Although he fought in the Seven Years' War, the War of the Bavarian Succession, and mounted several successful campaigns in the Rhineland in the initial years of the French Revolutionary Wars, he is probably most remembered for his unsuccessful operations against Napoleon Bonaparte during the 1796 campaign in Italy. 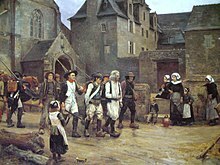 The Army of the Rhine and Moselle was one of the field units of the French Revolutionary Army. It was formed on 20 April 1795 by the merger of elements of the Army of the Rhine and the Army of the Moselle. Franz von Lauer began his service in the Habsburg Austrian army as an engineer officer and advanced to high rank during his career. After serving in the Seven Years' War he earned promotion to oberst (colonel) over the next two decades. He fought against Ottoman Turkey at Belgrade and became a general officer for his distinguished effort as a siege specialist. He directed sieges against Fort-Louis and Mannheim while fighting the armies of the First French Republic during the War of the First Coalition. Named chief of staff of the army fighting against Napoleon Bonaparte in Italy in 1796, he fought at Bassano and Mantua. In 1800 he was appointed deputy commander of the main army in southern Germany. 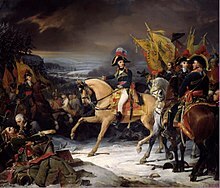 His efforts ended in a military disaster at Hohenlinden in December 1800. He was made the scapegoat and soon dismissed from the service. 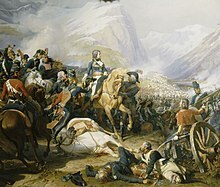 At the Battle of Ampfing on 1 December 1800, Paul Grenier's two divisions of the First French Republic opposed against the Austrian army southwest of the town of Ampfing during the French Revolutionary Wars. The Austrians, under the leadership of Archduke John of Austria, forced their enemies to retreat, though they sustained greater losses than the French. Ampfing is located 63 kilometers east of Munich and 8 km (5.0 mi) west of Mühldorf am Inn. At the Battle of Emmendingen, on 19 October 1796, the French Army of Rhin-et-Moselle under Jean Victor Marie Moreau fought the First Coalition Army of the Upper Rhine commanded by Archduke Charles, Duke of Teschen. Emmendingen is located on the Elz River in Baden-Württemberg, Germany, 9 miles (14 km) north of Freiburg im Breisgau. 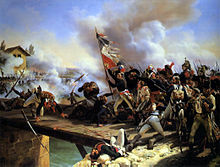 The action occurred during the War of the First Coalition, the first phase of the larger French Revolutionary Wars. The Battle of Biberach on 9 May 1800 saw a French First Republic corps under Laurent Gouvion Saint-Cyr engage part of a Habsburg Austrian army led by Pál Kray. 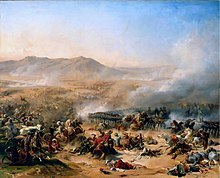 After an engagement in which the Austrians suffered twice as many casualties as the French, Kray withdrew to the east. 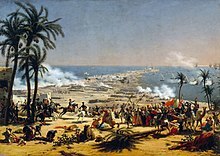 The combat occurred during the War of the Second Coalition, part of the French Revolutionary Wars. Biberach an der Riss is located 35 kilometres (22 mi) southwest of Ulm. 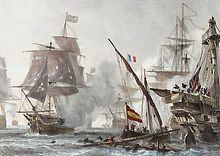 In the Rhine Campaign of 1796, two First Coalition armies under the overall command of Archduke Charles outmaneuvered and defeated two French Republican armies. 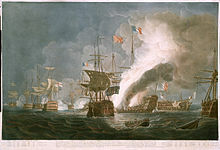 This was the last campaign of the War of the First Coalition, part of the French Revolutionary Wars.